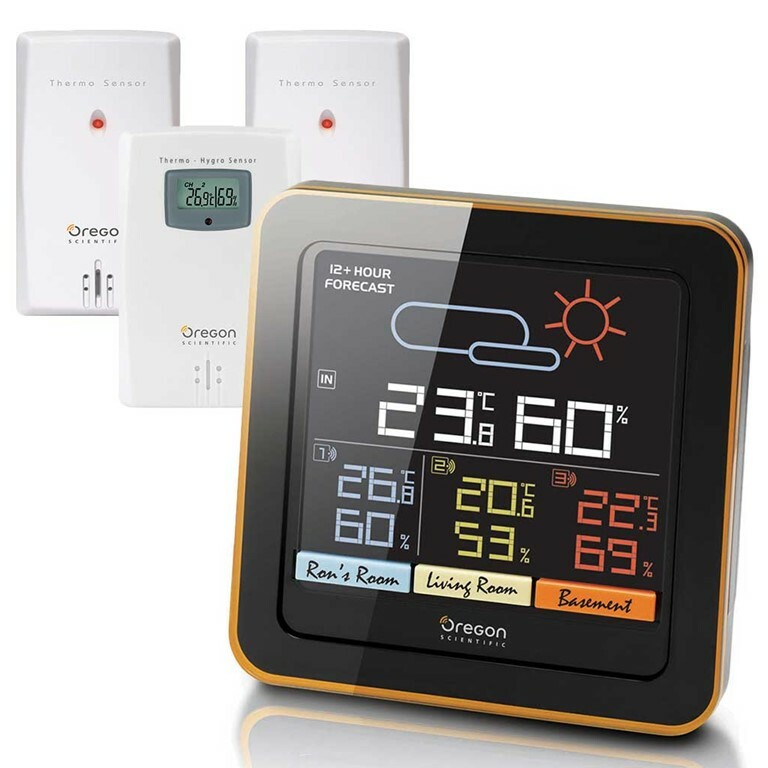 Oregon Scientific RAR502S / RAR502SA Multi-Zone Home Climate Control Wireless Weather Station - Color LCD Display allows you to easily monitor the temperature and humidity in up to 3 areas of your house. Easily view temperature and humidity data in different areas in your home on the large Color LCD display. Includes a mold alert icon function. Displays the weather forecast for the next 12-24 hours. I have just bought this weather station and all the data is showing. Easy set up. Just put batteries in and go. This was just like my previous RAR502 but the LCD screen looks much better with color and is easy to read with my eye's. Still a great value since they come with three sensors!